Most of us are familiar with our Sun sign –the most commonly known aspect of astrology. Sun signs are made all the more popular by the daily, weekly and the yearly horoscopes that often form a fixed regular column in daily newspapers, magazines as well as websites. However, there is much more to astrology other than just the Sun signs or the Sun’s position! 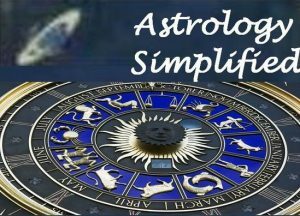 While it is easy to learn the basics of astrology, mastering it to make seemingly accurate deductions may take an entire lifetime to master. The knowledge of astrology dates centuries back to something practiced by ancient priests and scholars. While the perceptions have undergone slight changes with newer discoveries of the universe, the basic facts are still the same. In short, although the modern astrology has evolved with the newer discoveries in the universe, and the new planets like the Pluto, Neptune and Uranus little has changed as far as interpretations are concerned. Astrology is all about the interactions between the planets and the sun signs or the constellations. These relationships are mathematically based and are cyclic in nature. Astrology studies are based on these mathematical cycles. The cycle starts with Aries and completes with Pisces. The various sun signs and their inter-relationship represents the mass consciousness of the cosmic forces in the universe and defines the minutest aspects of a person’s evolution. Unfortunately, many a time astrology is viewed as mysticism and used like a predictive tool. It is far from that. It is more like a philosophy that explains life. It points to the fact the universe is a whole, with a connection that ties humans as well as all living things together since we are all a part of these interplanetary cycles. Astrology therefore simply explains the energy sources and their effects in your life. It merely points to the challenges and everything about you – hence is not predictive in nature but informative about the possibilities that exist. Astrology can help you evolve and give you options that are your own choice that leads towards your destiny.